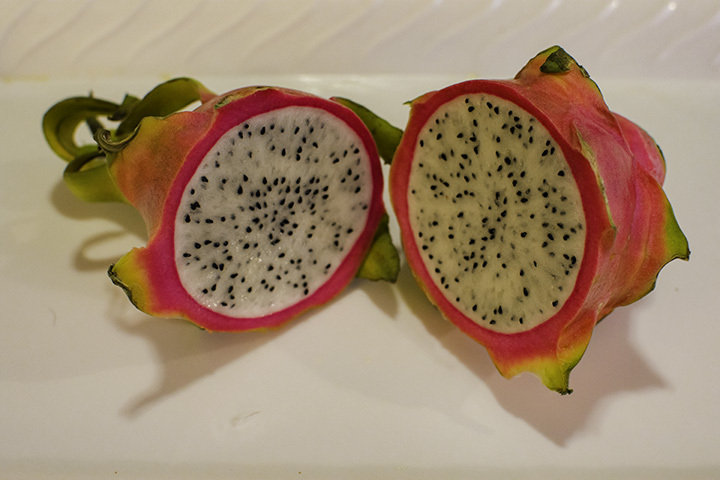 Dragon fruit from one of the farmers markets on the Big Island. There is an abundance of farmers markets on the Big Island. Wherever you are on the island, there are farmers markets where you can sample an array of fruits and vegetables. Below are the farmers markets on the Big Island that you should check out on your next trip there. Hilo Farmers Market is one of the most popular farmers markets on the island. You’ll find it on the corner of Mamo Street and Kamehameha Avenue in downtown Hilo. This market is ideal for both early-risers and late-comers. Vendors open on most days at 7 am and close at 4 pm. But on Wednesdays and Saturdays, it opens at 6 am. With over 200 vendors, visitors can try anything from locally-grown fruits and vegetables to Asian cuisine. Here, there are freshly-baked pastries, breads and malasadas. You can also get honey, fresh fish and an abundance of unique specialty foods. This is also the place to purchase homemade soaps, seed-jewelry, wood carvings, and artwork. Plan to devote several hours to the Hilo Farmer’s Market as there is so much to see. Volcano Village Farmers Market is open on Sundays from 6:30 am to 10 am. You’ll find scrumptious desserts like sweetbread pudding, mocha brownies and haupia. But you’ll also see a variety of jams, whipped poi, fresh fruits, berries, vegetables and organic grass-fed beef. There are craft vendors as well as authentic Hawaiian food booths. Pahoa Village Farmers Market is open on Sundays from 8 am until 1 pm. 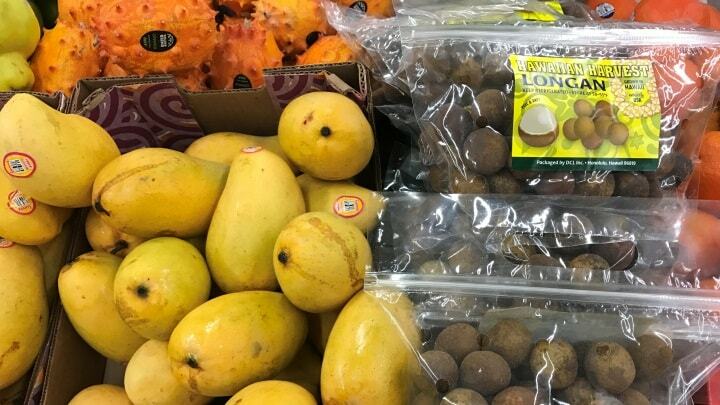 This market in Pahoa offers Kona coffee, Thai, Chinese, Indian and Hawaiian cuisine as well as fruits, crafts and clothing. There is also an open bar and live music creating a relaxed weekend atmosphere for shoppers. Maku’u Farmers Market is also in Pahoa and is open from 8 am to 2 pm. With 200-plus vendors, this is a large scale farmers market. It features everything from organic produce to farm goods, handmade materials and keepsakes. They also have live music and a covered sitting area for visitors to enjoy, rain or shine. Keauhou Farmers Market in Kailua-Kona is open on Saturdays from 8 am to noon. This open-air market only sells plants and produce grown in Hawaii. Free of tourist clutter, this is the perfect place for Kona coffee, macadamia nuts, papayas, mangoes, coconuts and flowers. There are baked goods, hot dishes and cultural demonstrations as well. The South Kona Green Market is open on Sundays from 9 am to 2 pm. It’s another great place for fresh coffee, organic and non-organic produce, Hawaiian crafts and artwork. Ka’u Farmers Market in Na’alehu is open on Wednesdays and Saturdays from 8 am to noon. People know it for its local beef, lamb, eggs and fresh produce. This makes the place to go to whenever you’re planning a family barbeque. The market also hosts a Hawaii-made day at the Shaka Restaurant every Friday from 8 am to noon.